Nori is a blockchain-based marketplace to remove carbon dioxide from the atmosphere. The NORI token works as a medium of exchange for Carbon Removal Certificates (CRCs). The Nori marketplace is being built right now and we project to launch both the market and tokens for real carbon removal transactions in Q1 of 2019. This offering is for Token DPAs, a convertible security that can be converted to NORI tokens if certain terms and conditions are met. We are all affected by climate change. And most people feel like we’ve run out of options for dealing with it. Many have tried lobbying their government for action, but the response has been slow and insufficient. Nori is putting the power to reverse climate change back into your hands. Our marketplace incentivizes people to remove carbon dioxide from the atmosphere. By buying our tokens, you can use them to pay others for removing CO2. One NORI token can be used to buy one Carbon Removal Certificate (CRC), representing one tonne of CO2 removed. The person who removed the CO2 gets paid with that NORI token and can trade that for cash or any other cryptocurrency. By creating a marketplace where people can easily pay for carbon dioxide removal, Nori will incentivize more people to remove carbon dioxide and ultimately reverse climate change. Suppliers of CRCs get paid in NORI tokens for how much CO2 they’ve removed. It’s a way to monetize activities they might already be doing or inspire new entrepreneurs and businesses to invest in carbon removal. Verifiers of CRCs vet carbon removal claims made by suppliers, and in turn get new opportunities for expanding their businesses as they innovate more accurate methods for verifying CO2 has been removed. Buyers of CRCs get verified certificates that prove carbon dioxide has been removed. They can use these certificates for meeting carbon reduction obligations and for corporate social responsibility reports. Per leading economists and policymakers, it’s clear that we need a price on carbon. The NORI token delivers that for the world. The price of NORI should be similar to how the Brent Crude Oil reference price functions for oil prices. It’s one single price that reflects true market demand for carbon dioxide. One NORI token will always pay for removing one tonne of CO2 from the atmosphere. The price of the NORI will change over time as the demand for removing CO2 changes. As the price of NORI increases, so too does the incentive for people to remove carbon dioxide. We envision an entirely new industry of businesses, jobs, products, and overall value being created to remove CO2 from the atmosphere. The more the NORI token is worth, the more people will take action to reverse climate change. There are already many different methods available that can remove carbon dioxide from the atmosphere and safely store it so that it no longer impacts global warming. We group them into three broad categories: ecological, industrial, and hybrid. Farmers can change their agricultural practices to store more carbon in soils. Forest managers can grow trees that sequester the CO2. Kelp and seaweed can be grown in waters all around the world and then dropped to the bottom of the ocean. Technology like direct air capture can be used to create artificial trees that absorb CO2 from the air. That captured CO2 can be pumped underground where it will turn into rock, or it can be used to manufacture products like plastics, tennis shoes, and carbon fiber. Hybrid approaches combine both ecological and industrial methods. Crops can be grown that are burned in power plants for energy, and their emissions are captured for storage in underground reservoirs. Minerals like olivine can be forced to absorb CO2 through a process called enhanced weathering. Construction materials like carbon-negative cement and sustainably-harvested timber can be used for buildings. While Nori plans to enable a suite of carbon removal technologies in its marketplace, we will initially focus on carbon removal through soils. Agricultural practices have contributed to over one-third of the CO2 emitted into the atmosphere since the Industrial Revolution. By changing to practices of no-till, cover-cropping, and crop rotations, farmers can not only store more CO2 in their soil, but also better retain water and grow crops with higher yields. Soil carbon removal comes with an incredible range of benefits to the farmer, and so an incentive to participate in the Nori marketplace already exists. Shortly after forming the company, we entered and won the ConsenSys Blockchain for Social Impact Hackathon in the Energy & Environment category. 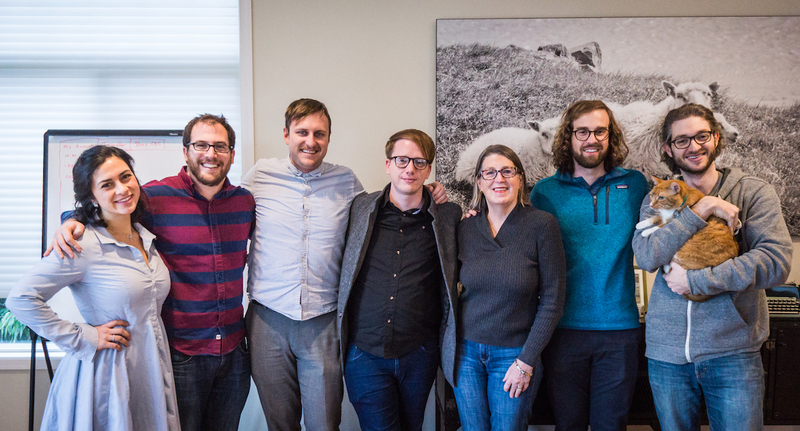 In April 2018, Nori hosted the first-ever Reversapalooza conference in Seattle, WA. 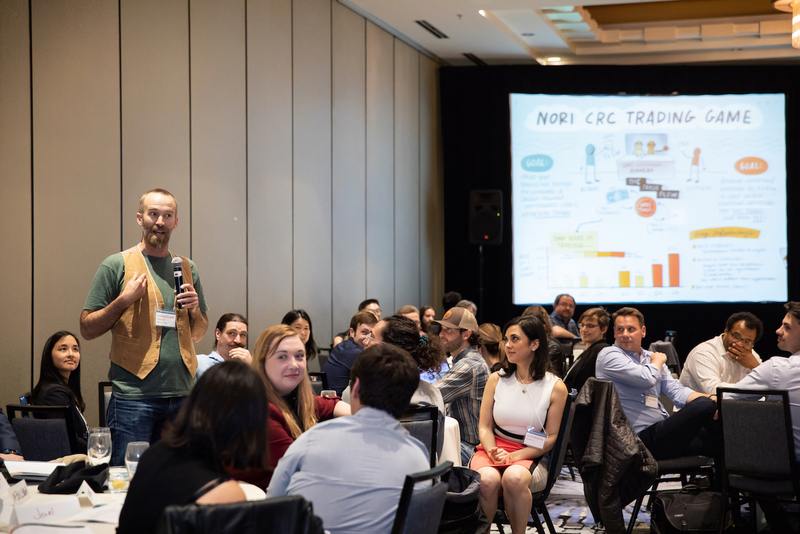 We brought together over 100 of the world’s leading experts in carbon removal, regenerative agriculture, and carbon markets to discuss the Nori market design. Footage of the entire conference is available on the Nori YouTube page. Since Reversapalooza, we’ve been gathering feedback from market participants on our methodology designs in a series of webinars found here. Our podcast, Reversing Climate Change, is the only podcast dedicated exclusively to a discussion around carbon removal. We’ve had over 19,000 downloads since we launched it in December 2017. GeekWire: Seattle-based startup Nori is hoping to deliver what Al Gore, the Paris climate accord and others have not: a market-driven solution to not only curb greenhouse gas emissions, but actually remove planet-warming carbon from the atmosphere. The New Food Economy: With a blockchain-based accounting platform, Nori can prove to buyers that the credits they purchase are retired and not resold to other companies. We are creating a total of 500 million tokens. Six million are offered for sale in this crowdfunding campaign. Ninety-four million will be sold to accredited investors in a Regulation D securities sale. Two hundred and fifty million tokens will be sold after the Nori marketplace has launched. One hundred million tokens will be held as an insurance reserve (to pay for invalid CRCs in order to make the buyers whole), and 50 million are reserved for the Nori team. These tokens for the Nori team will be distributed over a four-year vesting schedule. 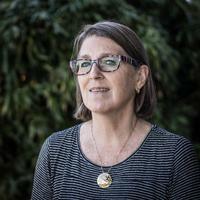 Aldyen Donnelly has been an expert on carbon markets and carbon pricing for over 25 years, and she wrote the very first soil carbon contract for the Iowa Farm Bureau at the turn of the century. Paul Carduner sold a startup to Facebook and went on to found and lead the engineering teams for Facebook’s photos and videos products. Michael Leggett worked at Google and Facebook and led the design teams for Gmail, Google Inbox, Google Finance, and Facebook Messenger. 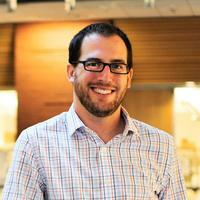 Christophe Jospe worked as the Chief Strategist at the ASU Center for Negative Carbon Emissions. 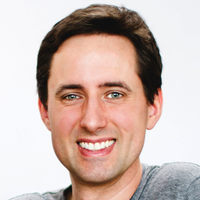 Paul Gambill founded the first-ever networking group for carbon removal and is an experienced software product manager. Alexsandra Guerra is an environmental engineer who was inspired at the age of 15 by Nori advisor Klaus Lackner to build machines that could remove carbon dioxide. 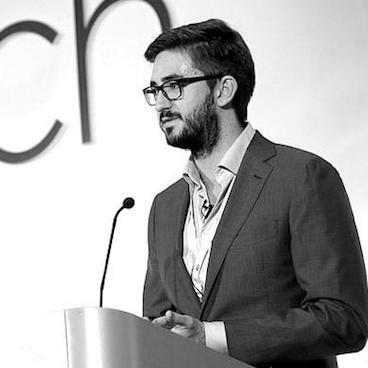 Ross Kenyon is an experienced blockchain community expert and has worked with Tezos, Sweetbridge, ZenCash, Indiegogo, and Blue Frontiers. Jaycen Horton is co-organizer of the largest blockchain meetup in Arizona, and previously worked as a lead software engineer for Dell and Wells Fargo. Our advisors are industry leaders in carbon removal, clean energy, and the technology industry at large. 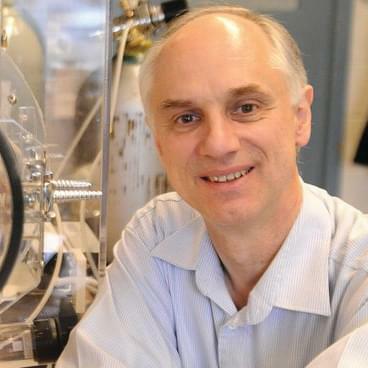 Dr. Klaus Lackner pioneered the concept of direct air capture more than 20 years ago. He is currently the Director of the Centre for Negative Carbon Emissions at Arizona State University. 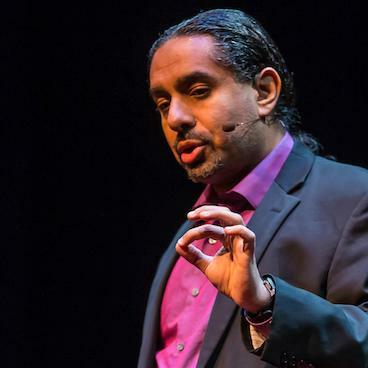 Ramez Naam is a futurist, sci-fi author, and the Co-Chair for Energy and Environment at Singularity University at NASA Ames. His book, The Infinite Resource, was an early inspiration for Nori co-founder Paul Gambill. 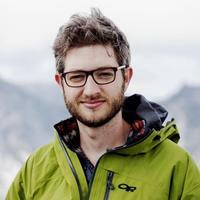 David Addison is the manager of the Virgin Earth Challenge, Sir Richard Branson’s $25M innovation prize for scalable and sustainable ways of removing carbon from the atmosphere. 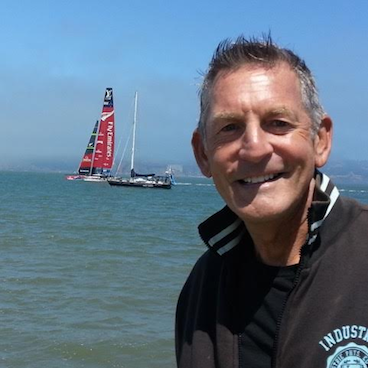 Bob Beth has founded several software companies, and is currently a Special Advisor to the World Business Academy for their Clean Energy Moonshot in California. Join Nori in the mission to reverse climate change! Nori is building a marketplace so that anyone in the world can make it their mission to reverse climate change. Use NORI tokens to offset your carbon footprint, invest in a new commodity for carbon removal, and spark the growth of a new industry that can restore the balance of carbon dioxide in the atmosphere. The more people buy and use NORI tokens, the more we collectively incentivise farmers, entrepreneurs, and businesses to remove carbon dioxide across the globe. Forward Looking Statements: These materials contain forward‑looking statements concerning trends or anticipated results which are made pursuant to the safe harbor provisions of the Private Securities Litigation Reform Act of 1995. These forward‑looking statements are not guarantees of the Company’s performance and are subject to risks and uncertainties related to Company’s operations and business plan. These risks and uncertainties include, but are not limited to: the timely availability of financing on acceptable terms, the Company’s ability to develop and operate its business and network in a timely and efficient manner, the availability of future purchasers and sellers of carbon reduction credits, and other future events and conditions. These projections are based on a number of assumptions and estimates made by management and Company’s actual results or activities, or actual events or conditions, could differ materially from those projected in these materials. The smallest investment amount that Nori is accepting. Nori needs to reach their minimum funding goal before the deadline. If they don’t, all investments will be refunded. The amount of time Nori has to pay out your investment in tokens. If the DPA isn't repaid with tokens after that time, it will be payable in cash with interest. Nori needs to raise $50K before the deadline. The maximum amount Nori is willing to raise is $1.07M. In 2015, Paul Gambill established the first community dedicated to carbon removal called Carbon Removal Seattle. 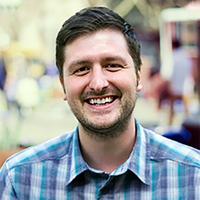 He has 6 years of experience in managing mobile and web application projects for clients including Nike, Showtime, Target, and Starbucks. Founded his first company, Carbon A List, in 2016 as a consultancy to provide investor research, carbon offsets, and fundraising support. Prior to that, he was chief strategist for the Center for Negative Carbon Emissions at Arizona State University. After selling his second startup to Facebook, Paul spent five years building Facebook's photo and video teams. Prior to Nori, Paul took an interest in software for social good, working with Code.org to improve access to computer science education. Aldyen has been a small business developer and consultant for over forty years. In the mid-1990s, Aldyen started to work on market-driven strategies to reduce atmospheric carbon concentrations. Alexsandra is an engineer by study, and worked for three years at Southern California Edison (SCE) as a renewable energy integration engineer. While at SCE, she worked on data-driven projects focused on grid modernization. Michael Leggett has built and led design teams at Google and Facebook for the last 13 years including Gmail, Android, Messenger, Ads, and more. Michael has a degree in Computer Science from Rice University. Jaycen has worked as a Lead Software Engineer for Dell, ASU Decision Theater, and MapStory and Information Security Engineer at Wells Fargo. He is currently the co-organizer of the largest blockchain meetup in Arizona. 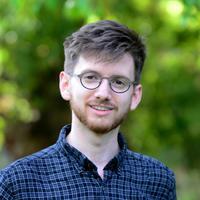 Ross is a blockchain professional with a background in academia, filmmaking, and business development. He has worked with Tezos, Sweetbridge, ZenCash, Indiegogo, and Blue Frontiers. 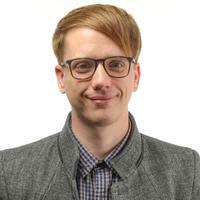 Jacob is a designer with consulting experience in a variety of industries such as health care, retail, and big data. He’s worked with big and small brands alike including Starbucks and Eddie Bauer. His education is in human computer interaction. Richard is a recent graduate as the first Computer Science major from Whitman College. 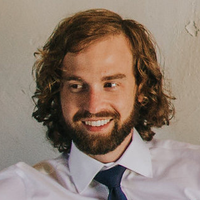 With experience in Full Stack development and a background in Liberal Arts, he has a passion for designing and developing simple solutions for complex problems. Nori is on a mission to reverse climate change by making it as simple as possible to pay people to remove carbon dioxide from the atmosphere. Nori is building the open source market infrastructure to allow for carbon removal projects to measure and monetize their activity. Our voluntary marketplace, based on blockchain technology, will enable carbon removal suppliers to connect directly with buyers, improve efficiency, and reduce costs. What is Nori’s approach to environmentalism? Humanity would not be as successful as it has been without affordable and reliable fossil fuels. However, burning fossil fuels releases carbon dioxide and other greenhouse gases into the atmosphere, exacerbating the greenhouse effect. There are only two known ways to manage the greenhouse effect: reduce the amount of new emissions into the atmosphere (mitigation), and remove the past emissions that are already there (carbon removal). We are past the point where mitigation alone can reverse climate change. We need carbon removal. We see addressing climate change as a waste management problem. Carbon-free sources of energy allow us to not create new waste. Adding a tonne of new waste to the atmosphere requires taking one tonne away. Nori’s aim is to become the first voluntary garbage collector of carbon dioxide. Nori also seeks to make carbon removal a form of environmentalism that could be rewarding rather than punitive. If people can make money being carbon removers, we believe that much of the conflict between economic growth vs. the environment would vanish. Carbon removal refers to any ecological or industrial approach that can take carbon dioxide out of atmospheric or oceanic circulation beyond what would have occurred naturally. While the approaches have varying scaling potential, costs, technological readiness, measurement techniques, permanence, energy consumption/production, and additional impacts, they are all similar in that they comprise a way to capture and store carbon dioxide. What are the different types of carbon removal? There are several ways to remove carbon dioxide from the atmosphere. They fall into three main categories: ecological, industrial, and hybrid. Ecological carbon removal can be achieved through land and ocean management techniques. 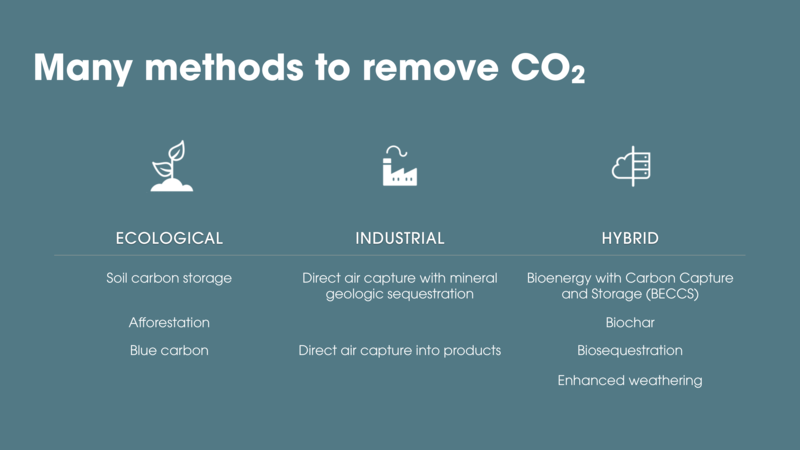 These approaches often present co-benefits that extend beyond carbon dioxide removed through regenerating or improving natural assets. Soil Carbon Storage refers to techniques that can increase the organic matter (carbon) stored in soils on agricultural and managed lands through cropping and grazing, typically under the paradigm of regenerative agriculture. Afforestation is the establishment of forests or stands of trees where there previously was no forest cover. Carbon dioxide is captured by photosynthesis and is stored in the biomass of trees. Blue Carbon refers to carbon captured by the world’s oceans and coastal ecosystems. The carbon captured by living organisms in oceans is stored in the form of biomass and sediments from mangroves, salt marshes, seagrasses, seaweed, and algae. Industrial carbon removal refers to engineered solutions that use synthetic and mechanical processes to remove and store carbon. Direct air capture with mineral geologic sequestration uses machines to extract and concentrate carbon dioxide to store in mineral carbonates with no economic value. This can be done under the seabed. Direct air capture into products uses machines to extract and concentrate carbon dioxide into products ranging from concrete, polymers, graphene, and other materials containing carbon dioxide. Hybrid carbon removal is a combination of ecological and industrial processes. Bioenergy with Carbon Capture and Storage (BECCS) relies on biomass to remove carbon dioxide, generate energy at a power plant, and produce gaseous emissions which can be captured and stored underground. Biochar relies on biomass to remove carbon dioxide and generate energy by using a process that starves the fuel of oxygen thereby leaving behind a carbon-rich residue that when spread over soil sequesters the CO2 in the ground. Biosequestration in materials refers to any approach that leverages biology to store carbon in products ranging from carpets to clothes to building materials. Enhanced weathering is a chemical process that occurs on land or in ocean that spreads minerals. Certain types of waste rock from mining operations can be exposed to carbon dioxide and combine with it to create mineralized carbon storage. Why are you starting with soil carbon storage? The first type of Carbon Removal Certificates (CRCs) on the Nori platform will be generated from agricultural projects that can store carbon dioxide in soils. We are starting here because of the crisis of soil carbon loss, the immense potential to store carbon in soils, and the unique features of the Nori design which enable risk mitigation against carbon losses and lower verification costs that do not exist in traditional offset markets. Through more regenerative farming practices there is a theoretical capacity to store ten billion tonnes of CO2 per year. By creating a financial instrument that supports growers to increase carbon dioxide in their soils, we’re also advancing a number of great co-benefits like drought resistance, reduced runoff pollution, and an overall improvement of soil health. Why is carbon removal necessary to stop climate change? Isn’t carbon reduction enough? Since the Industrial Revolution, humankind has burned fossil fuels to produce energy which release greenhouse gases. Despite our understanding of the clear linkage between excess greenhouse gases in the atmosphere/oceans and global climate change, humans have been unable to stop emitting. While reducing and replacing carbon emissions are key components to slowing down the flow of greenhouse gases to the atmosphere, because carbon dioxide stays in the atmosphere for hundreds of years—warming the planet—the only way to stop the most severe effects of climate change is by balancing the total stock of carbon dioxide in the atmosphere. This can only be achieved through carbon removal. Carbon reduction is a start, but it’s simply not enough. The easiest way to view this is an arithmetic problem. We are putting too many greenhouse gasses into the atmosphere and not taking enough out. Carbon removal helps create the necessary balance to roll back the effects of climate change. How is Nori different from other voluntary carbon offset registries and how does it work? Nori is unique in the carbon market space because we are focused 100% on carbon removal from the atmosphere. Paying people not to cut down existing trees is not a model that would qualify for CRCs in our market. Reversing climate change requires both decreasing current emission rates, as well as removing the 1.5 trillion tonnes of excess CO2 that's already up in the atmosphere. Many companies and initiatives focus on reducing present and future emissions, but Nori is the only market that deals exclusively in removing past emissions. Nori allows buyers to pay for CRCs in a first-in-first-out (FIFO) order as they’re entered into the marketplace. This commoditizes the removal of CO2 and removes the costly matchmaking process that occurs in traditional carbon offset markets. Nori is also different from existing carbon markets by taking a software approach to reduce costs for suppliers and buyers through streamlining data collection. By accounting for the ownership of the CRCs on the blockchain, Nori eliminates the double-counting problem that has plagued past attempts at creating healthy carbon offsets markets. Nori’s cost structure is substantially different from traditional carbon offset markets. We do not charge fees to develop new methodologies, and only ever charges suppliers a one time registration fee to list projects. A Supplier is a person or entity whose actions remove carbon dioxide from the atmosphere, store those elements in a terrestrial, industrial, subsurface, or aquatic reservoir, and offer CRCs for sale in the Nori marketplace. The initial suppliers in our network are American farmers and groups working with farmers who are removing carbon dioxide through their agricultural practices. A Verifier is a qualified professional in a position of fiduciary responsibility who can attest to the accuracy of evidence provided annually by CRC suppliers to substantiate their claims that carbon dioxide has been removed from the atmosphere and stored in a terrestrial, industrial, subsurface, or aquatic reservoir. The initial verifiers we are working with have past experience working with traditional carbon offset markets. A Buyer is the name given to a person or entity that uses NORI tokens to purchase CRCs in the Nori marketplace. Buyers might be corporations who want to negate their emissions or individuals who simply care about environmental sustainability. Beyond active market participants, Nori is working alongside scientists, policy makers, businesspeople, and concerned citizens to build an open, transparent, and iterative platform. Why does Nori need its own token, the NORI? 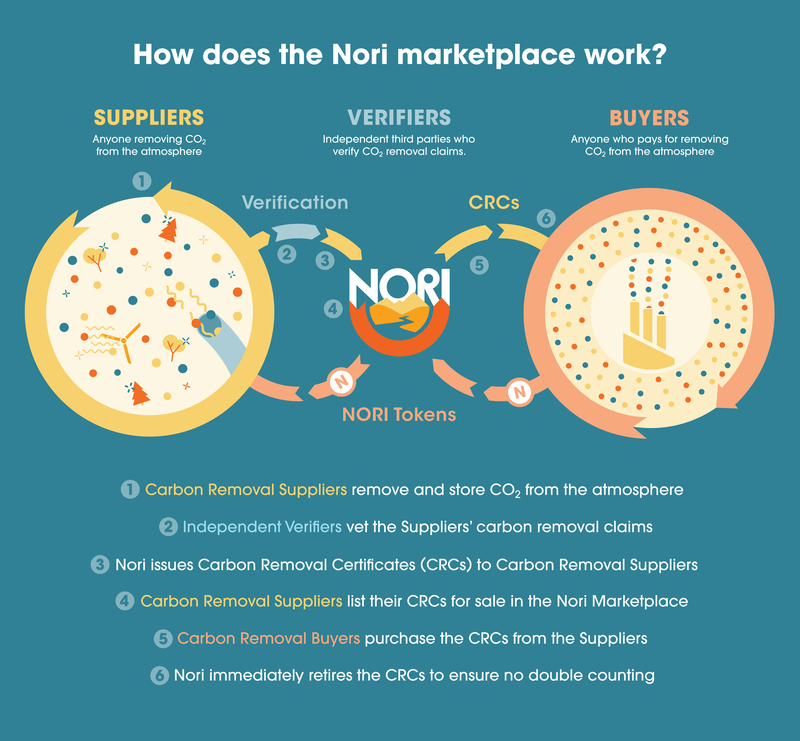 Nori needs its own token so that one NORI can always be exchanged for one Carbon Removal Certificate (CRC). 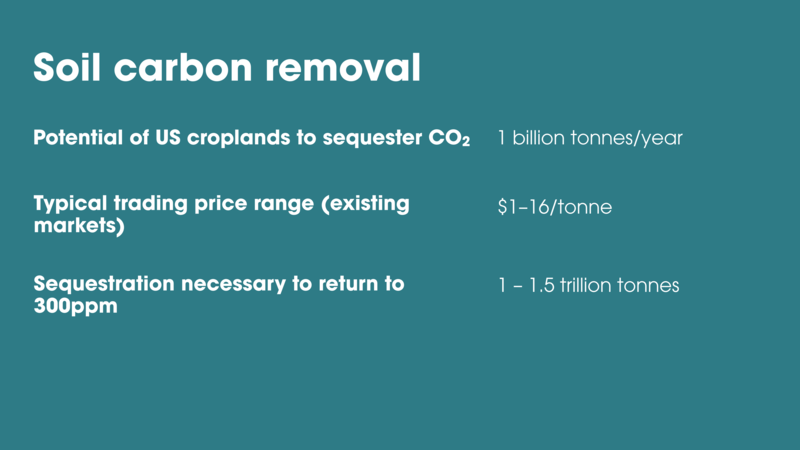 NORI’s price in secondary markets will become the effective price of carbon removal. The token also enables price discovery from buyers with value-based pricing. One of our biggest goals is for NORI’s price to be treated similarly to the Brent Crude oil reference price but for carbon. This would, for the first time, establish a truly universal and market-driven price on carbon, which is desperately needed. How does the token relate to carbon removal? One NORI token allows for the purchase of a Carbon Removal Certificate (CRC). Think of it like a gift card that allows you to pay for carbon removal. When used, the NORI token will immediately retire a CRC. Does Nori verify the Carbon Removal Certificates (CRCs)? No. We work with third-party verifiers who conform to our established methodology standards to verify carbon removal data. What are the benefits to farmers of working with you? There are numerous benefits to regenerative farming, such as saving on fertilizer, machinery, and gasoline. Plus, there’s less carbon dioxide going into the atmosphere because of the reduced need to refine the nitrogen through ammonia production. With regenerative farming, farmers don’t need to spend money on fuel sources to power their plow. They end up with more carbon in their soil, which makes their crops grow bigger, better, faster, and more nutritious. Nori is adding another benefit to farmers who participate in the marketplace. For every tonne of carbon dioxide they remove and store in the soil, they get paid with a NORI token. Farmers increasingly are doing regenerative farming for the economic and environmental benefits. Farmers in our network can receive payments for the ecosystem services they are already providing, encouraging the growth of regenerative agricultural practices. Are you working with farmers now? We're working with farmers, farm developers, and farm technology developers right now to build this product in a way that provides real value to the farmers while ensuring the removed CO2 is verified accurately and credibly. Regenerative agriculture can provide an enormous boon to farmers (better crop yields, better water retention) but the transition can be difficult and complex depending on factors like who owns the land. We're engaging with different partners to make sure we're building a system that can be beneficial to both farmers and buyers of their CRCs. There are pilot programs beginning soon. What other methodologies are coming soon? After launching the cropping methodology, we intend to add managed grazing projects and agroforestry. Industrial technologies are a little farther off, and they are primarily doing Carbon Capture and Use (CCU) rather than Carbon Capture and Storage (CCS) for the moment. As industrial technologies continue to plummet in cost, we will be ready to help them monetize their carbon removal. Paul Gambill: My name's Paul Gambill and I'm the co-founder and CEO of Nori. Three years ago, I read this article about how climate scientists are becoming very discouraged because no one was listening to them. I live in Seattle, a city with a lot of beautiful and natural environment around it. And it was just becoming more and more clear to me that that we do something about climate change now. Paul Gambill: When I first started this, I kept looking to try to find a partner who knew something about material science or chemical engineering or something to help us build products. Over the years, eventually, we've gone in a different direction that I think is going to be far more effective than just building products. I've known about the Drapers for a long time. We've been doing a lot in the climate space and hope that Nori can get some recognition in the blockchain and cryptocurrency space. We're really merging these two worlds together, so we're hoping and believe that what Nori is going will enable people to make a difference. Tim Draper: Well, thank you for coming to Meet the Drapers. Give us your pitch. Paul Gambill: Hi, my name is Paul Gambill. I'm a co-founder and a CEO of Nori. We're on a mission to reverse climate change. I was curious. Why was no one building a business around actually trying to solve climate change? Speaker 16: Mining and burning trillions of tons of hydrocarbons [been running 00:17:04] this crazy chemical experiment on the atmosphere. Very unusual and a very extreme threat as you can see. Paul Gambill: The economic value of fixing it seemed unlimited and obvious to me. I've also been involved in the blockchain space since 2010. And last year's introduction of ICO's and the idea of token economics was exhilarating to be a part of. Last summer, I left my consulting job and along with six other people, founded Nori, a blockchain-based market place that makes it easier for people to pay other people to remove carbon dioxide from the atmosphere. Tim Draper: Wait. How does it work? Why do I buy the token and why do other people use the token? Paul Gambill: We're connecting suppliers, so these are people who remove carbon dioxide. These might be farmers, entrepreneurs running startup with buyers. Polly: How do you remove carbon? Tim Draper: How do you get CO2 from the air, into the soil? Paul Gambill: It's by changing farming practices using crop rotations and leaving covered crops in the soil that they're using. Polly: Covered crops? What are they? Paul Gambill: Covered crops, you can either add additional species into, like in-between the growing lanes and you leave the stubble, so after you harvest whatever crop you're growing, you just leave it. What that does is that it encourages more microbial growth, so bacteria in the soil. And that's where the CO2 comes from. Bill Draper: Farmers like it for that reason? Paul Gambill: Farmers like it for that. It also produces better crop yields in the long run. This is a profitable business for them. Polly: What are the obstacles? Paul Gambill: When you switch to these methods, you start to see a slightly lower crop field for a brief period of time and then it comes back up because you have to rebuild the quality of your top soil. Tim Draper: Tell me a little bit more about the tokens. Have you done an ICO? Paul Gambill: We haven't done this yet because we've been working on the economics of this for six months. It's a complex challenge. The way that this market works is buyers who are, for example, corporates who want to negate emissions in their supply chain, individuals who want to make a difference, energy utilities and so on. They use our token and the buyer purchases that certificate and is immediately retired so that it can never be resolved. Corporations are already most familiar with buying what are called carbon offsets. These aren't exactly the same thing as offsets because those include things such as avoided emissions and we're only focused on removing what's already up there. Bill Draper: Tell me a little bit about your personal background. Paul Gambill: My background is in computer engineering and management. Bill Draper: Where did you get your engineering degree? Paul Gambill: I went to Arizona State University for my undergraduate and then Duke University for my Masters in Engineering Management. Polly: Is anyone else doing this besides you guys? Paul Gambill: There are startups that are working on different methods of carbon removal but no one is doing it at the level that we're at. We're rebuilding the infrastructure to make this all possible. There is no other team in the world who could do what we do. 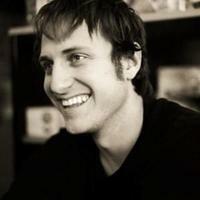 Our CTO built the photos and videos teams at Facebook. We are the world's leading expert on carbon markets and carbon removal contracts on our team. And one of our advisors, Klaus Lackner pioneered the concept of direct air capture. Collectively, we have more experience in the carbon removal space than anyone else. Tim Draper: Vish, do you have any questions? Bill Draper: How much money have you raised so far and how much money are you looking for? Paul Gambill: Yes. That's the maximum allowed by the SEC. Tim Draper: On the show. Tim Draper: Yeah, we have a limit. We can't raise more than a million dollars. Paul Gambill: I have learned more than I ever wanted to know about SEC regulations in the last year. Tim Draper: We all have. It's been the biggest year for the SEC regulations. Vish Mishra: Very ambitious plan, actually. Vish Mishra: My question is also my fear. This is going to take you so much money. Have you thought about what could really go wrong in this business? Paul Gambill: The goal is that we're providing financial incentives for people to do this. For farmers, that's a pretty straight-forward thing because farmers work on very thin margins. We're talking about being able to provide more than 10% of what their expectation is in revenue per acre. Tim Draper: This is like a private cap and trade. Paul Gambill: Cap and trade is different because the governments issue three allowances and these allowances really distort the price signals in the markets. What we're making is our token ..
Tim Draper: It's a different psychology. Paul Gambill: Yes, it is. Tim Draper: But it still could eliminate the need for a cap and trade. Paul Gambill: It absolutely could and that would really be our goal. It's a market-driven price on carbon dioxide. An economist would be saying, This is what we need for decades to solve this problem and we're going to provide that. Tim Draper: Terrific. Thank you so much for coming to Meet the Drapers. Paul Gambill: Thanks so much for having me. Paul Gambill: I guess my pitch went well. Tim asked me if I'm been through an [inaudible 00:21:55] before which I hadn't, especially with his background and interest in cryptocurrencies and blockchain, I think he immediately understood about the token and how that works. I forgot to mention that our podcast is called Reverse in Climate Change, so that people can find that. Paul Gambill: The Drapers are really knowledgeable about figuring out what they need to know about an industry. They ask some pretty insightful questions that will give them insight into whatever it is that the entrepreneur is building. If you're interested in taking action in having agency to do something about climate change, you can buy the Nori token like coupons. You can use them to pay for removing carbon dioxide. Yourself. You have that power now. Tim Draper: And now, it's up to our judges, but actually it's really up to you because you can vote online at meetthedrapers.com and you can invest. There's no other show in the world that allows you to invest, but you can invest. With that, I'd like to ask our guest judge, Vish, what did you think? Vish Mishra: I like his ambition, so if he can narrow it down to maybe corporate farmers. Don't go after all the farmers. Go after the major corporations who are the big farmers in the U.S. because they all get it. Polly: He made it seem very simple and clear. Put in a token, you personally can get rid of this carbon. That makes me feel so good, plus he seemed like a really super smart guy who thought of every angle. Tim Draper: This is a guy who, he dug into the SEC. He figured all this stuff out. He was ready to go. He created this token. He's made the token make some sense. He actually put in the [finding 00:23:38] a network around it. Tim Draper: I was thinking, well, this is pretty good. The one concern I might have is, does this make sense to a farmer? Bill Draper: I'm with Polly. I think he explained pretty well why it would be attractive to a farmer. Bill Draper: Intelligent guys and total commitment to a problem that all of us understand is one of the biggest problems in humanity. I am all for backing this person. Tim Draper: Okay, well, let's go to the crystal ball. Here's what we do, Vish. Tim Draper: We look at the crystal ball and we say, crystal ball, crystal ball, Nori. Once you've sort of felt the power of the crystal ball, you get a vibe. And now what we do is we vote thumbs up, thumbs down, thumbs all around. Boom. Mine was up because I kind of liked where this guy is going. Tim Draper: That was interesting. And you, the audience, you can decide. If you want to vote up, do you want to invest, we've got Nori and you've got an opportunity for Nori. Now, let's get on to our next entrepreneur. There is no present market for the DPAs or the Class CF Tokens and we have arbitrarily set the price. We have arbitrarily set the price of the DPAs and the Class CF Tokens you may receive in repayment of the DPAs. The price you pay for the DPAs should not be considered an indication of the actual value of the Class CF Tokens, and will not be based on the Company’s valuation, earnings or any other factors. If and when the Class CF Tokens are issued, Investors may not be able to resell them at the Token Valuation stated in the DPA. The Company may extend the Offering deadline beyond what is currently stated in this Offering Memorandum. This means that your investment commitment may continue to be held in escrow while the Company attempts to raise the Minimum Amount even after the Investment Deadline stated in this Offering Memorandum is reached. Your investment will not accrue interest during that time and will simply be held until such time as either (a) the new Investment Deadline is reached without the Company receiving the Minimum Amount, at which time it will be returned to you without interest or deduction, or (b) the Company receives the Minimum Amount, at which time it will be released to the Company to be used as set forth in this Offering Memorandum. In the event of the success of the Offering, the DPAs will be issued and distributed to you shortly after the Effective Date. The Company has the right to limit individual Investors’ commitment amount based on the Company’s determination of an Investor’s sophistication. The Company may prevent Investors from committing more than a certain amount to this Offering based on the Company’s belief of the Investor’s sophistication and ability to assume the risk of the investment. This means that your desired investment amount may be limited or lowered based solely on the Company’s determination and not in line with relevant investment limits set forth by the Regulation Crowdfunding rules. This also means that other Investors may receive larger allocations of the Offering based solely on the Company’s determination. There is no guarantee that DPAs will be paid back in Class CF Tokens. Per the terms of the DPA, if the Company does not complete the Network, produce the Class CF Tokens or conduct a Public Token Offering, the only means to repay the DPA is in cash. The Company is under no obligation to repay the DPAs in Class CF Tokens. The Network has not yet been developed by the Company and will require significant capital funding, expertise of management, time and effort in order to develop, market and successfully launch. For any number of legitimate reasons, the Company may be unable to develop the Network, in which case there may never be an operational Class CF Token. See “Risks Related to the Network and Blockchain Technologies”, below. The Company has ultimate discretion as to whether or not to launch the Network or Public Token Offering, and Investors have no right to demand repayment in Class CF Tokens. Investors who are not interested in a cash repayment should seriously consider whether or not to invest in DPAs, as Class CF Tokens may never be paid to you, meaning that a cash return may be your only option. If the Company never issues Class CF Tokens, or conducts its planned Public Token Offering, the only assets by which the DPA can be repaid is cash, including any Fiat Interest Amount. This means, you should only purchase DPAs if you are willing to accept a repayment of the DPA in cash. The Securities will not be freely tradable under federal law until one year from the Effective Date of the Offering. Even if and when the Securities become tradable under federal securities law, state securities regulations may apply. There is not now and likely will not be a public market for the Securities, except with respect to the Class CF Tokens if the Company conducts its planned Public Token Offering. Because the Securities have not been registered under the Securities Act, or under the securities laws of any state or non-United States jurisdiction, the Securities have transfer restrictions and cannot be resold in the United States except pursuant to Regulation Crowdfunding. The Company currently has no plans to register the Securities under the Securities Act or other securities laws. Limitations on the transfer of the Securities may also adversely affect the price that you might be able to obtain for the Securities in a private sale even after their resale is permitted under the securities laws. Investors should be aware of the long-term nature of their investment in the Company. Each Investor will be required to represent that it is purchasing the Securities for its own account, for investment purposes and not with a view to resale or distribution of any Securities. The term of the DPA and all the rights to receive Class CF Tokens in repayment of the DPA, will expire three years from the Effective Date. If the Company does not initiate the Network and conduct a Public Token Offering within three years from the Effective Date, it will pay Investors back with all remaining cash on hand, together with interest due pursuant to the terms of the DPA. This means that an Investor’s upside is potentially capped at the rate of return described in the DPA. Investors should be willing to accept the interest amount stated in the DPA as a hard cap on their possible gain from investment. If the Company elects to repay the DPA in cash in the first six months after the Effective Date, or if the Investors elect their Early Repayment Option, no interest will be paid. For the first six months from the Effective Date, if the Company has not conducted its planned Public Token Offering, it may pay back Investors in cash without interest pursuant to the terms of the DPA. In addition, if an Investor elects early repayment under the terms of the DPA, no interest will be paid. This means that you would realize no return on your investment. Your ability to receive repayment of the DPA for cash may not provide even a full return of capital. Under the terms of the DPAs, Investors may elect to receive early repayment of their investment amount, without interest, starting six months after the Effective Date and continuing until the second anniversary date of the Effective Date. Investors should not consider the DPAs a safe investment because there can be no guarantee there will be sufficient assets in the Escrow Account or otherwise on hand at the Company to return the Investor’s investment upon an early repayment election or otherwise. In addition, in certain instances, such as a dissolution or bankruptcy, the Investors may only have a right to receive cash, to the extent available. This means, you should only purchase DPAs if you are willing to accept a return of investment by the Company in cash that is potentially less than your original investment. The escrow requirements in the DPA will reduce the free cash available to the Company to pursue completion of its business plan and development of the Network. The DPAs require that 50% of the net Offering proceeds be held in an Escrow Account monitored by the Intermediary until either delivery of the Class CF Tokens or other specified Escrow Event. As a substantial amount of the monies raised in this Offering will not be useable by the Company, whether as a surety for other debt or for payments, this term may hurt the Company’s operations. Also, since Investors have right to request early repayment of their DPAs from the Escrow Account, the value of the Escrow Account may decrease over time. The Company will have the ability to request the release of all funds in the Escrow Account, after the six-month anniversary, but before the second anniversary, of the Effective Date (the “Capital Call”). However, Investors may elect to opt-out of the Capital Call, resulting in the Company receiving either a substantially reduced amount of capital from the Escrow Account or none at all, possibly leading to the Company’s insolvency or the need to raise more funds. If the Company elects or is required to repay all or part of the DPA in Class CF Tokens, and you fail to provide the Company, within 30 calendar days, with a network address and other information necessary to facilitate a distribution of Class CF Tokens, the Company may in its discretion repay the DPA in cash, without interest, and without any further obligations. You are responsible for the accuracy of information provided. Providing inaccurate digital key or public address for purposes of token transfer often results in irreversible loss, which nonetheless would constitute satisfaction of the Company’s debt repayment obligations. The Company may use some or all of the Offering proceeds on short notice, which could make it more difficult for us to repay the DPAs in cash. The Company has the right to make a Capital Call between the first six-month and second year anniversary of the Effective Date. This may ultimately result in an accelerated loss in your capital, should you choose to not elect early repayment of your funds held in escrow before the Company’s Capital Call comes into effect. If the funds in escrow are released to the Company, this may result in the use of the cash by the Company and the likelihood of repayment of your DPA in cash could be greatly reduced. Investors’ ability to elect early repayment of the DPAs for cash prior to the Maturity Date may not provide a full return of capital. The DPA has features which allow each Investor to elect early repayment (a) after the six-month anniversary date, and (b) before the second anniversary of the issuance date of the Security for partial repayment of its investment, without interest (the “Early Repayment Right”). Investors should be aware that (i) no interest is due if the Investor chooses to exercise Early Repayment Rights; (ii) there can be no guarantee there will be sufficient assets on hand to return funds despite the use of the Escrow Account, and (iii) if the Company requests a Capital Call that an Investor chooses not to opt out of, the Early Repayment Right will be extinguished. Investor early Repayment Rights may cause the Company to become insolvent, even though you may not be seeking or receive early repayment of your DPA. If a significant number of Investors request such early repayments (which may or may not include you) and there are insufficient funds in the Escrow Account or the Company does not have the adequate amount of cash on hand, the Company will be unable to pay such claims and may be forced to refinance, raise additional capital or become insolvent and seek bankruptcy proceedings. In that case, you may lose all of your investment. The DPAs will be effectively subordinate to any of the Company’s secured debt. The DPAs will be unsecured, unguaranteed obligations of the Company and will be effectively subordinated to any present or future secured debt obligations that we may incur in the future to the extent of the value of the assets securing that debt. Currently the Company has no other debt outstanding, except the member loans discussed above. The effect of this subordination is that if we are involved in a bankruptcy, liquidation, dissolution, reorganization or similar proceeding, or upon a default in payment on, or the acceleration of, any of our secured debt, if any, our assets that secure debt will be available to repay the DPAs only after all secured debt has been paid in full from those assets. Holders of the DPAs will participate in any remaining assets ratably with all of our other unsecured and unsubordinated creditors, including trade creditors. We may not have sufficient assets remaining to pay amounts due on any or all of the DPAs then outstanding. If we do not generate Class CF Tokens to repay the DPAs, we may not be able to generate sufficient cash flow to meet our cash repayment obligations on the DPAs. If the Company is unable to generate Class CF Tokens or conduct its planned Public Token Offering, or if there is insufficient cash flow repay the DPAs in cash, there is a large risk that the Company could default on the DPAs and be unable to repay them. Due to the fees associated with this Offering, at its conclusion, assuming it is successful, the Company will already have fewer assets than necessary to repay the DPAs in full in cash. Our ability to generate sufficient cash flow from operations to repay the DPAs will depend on our future financial performance, which will be affected by a range of economic, competitive, and business factors, many of which are outside of our control. The Company will be in default if it is unable to repay the DPAs in cash upon their maturity, which could force us to discontinue our business. If we do not generate sufficient cash flow from operations, we may have to undertake alternative financing plans, such as refinancing or restructuring our debt, selling assets, reducing or delaying capital investments, or seeking to raise additional capital. We cannot assure you that any refinancing would be possible, that any assets could be sold, or, if sold, of the timing of the sales and the amount of proceeds realized from those sales, or that additional financing could be obtained on acceptable terms, if at all, or would be permitted under the terms of the agreements governing our indebtedness then outstanding. Our inability to generate sufficient cash flow to satisfy our repayment obligations under the DPAs would severely negatively impact your investment in the DPAs. It is possible that the Company may no longer be viable to operate and that the Company may dissolve or take actions that result in a Dissolution Event, due to any number of reasons, including, but not limited to, the inability by the Company to establish the Network or conduct its planned Public Token Offering, the legal and regulatory environment for Blockchain and tokens and other digital assets exchanged on distributed ledgers, the failure of commercial relationships, intellectual property ownership challenges or legal proceedings, or an unfavorable fluctuation in the value of cryptographic and fiat currencies or other types of tokens and digital assets exchanged on distributed ledgers. The provisions in the DPAs relating to a Liquidation Event or Change of Control transaction will not necessarily protect you. The provisions in the DPAs will not necessarily afford you protection in the event of a transaction that may adversely affect you, including a reorganization, restructuring, merger or other similar transaction involving of the Company. These transactions may not involve a “Liquidation Event” or “Change of Control” which would trigger these protective provisions. The DPAs do not permit Investors to require us to repay the DPAs in the event of a takeover, recapitalization or similar transaction. We may not be able to repay all of the DPAs upon a Liquidation Event or Change of Control repurchase event. Upon the occurrence of events constituting a Liquidation Event or Change of Control, we will be required to repay the DPAs in cash. We may not have sufficient funds to repay the DPAs in cash at such time or have the ability to arrange necessary financing on acceptable terms. In addition, our ability to repay the DPAs in cash may be limited by law or the terms of other agreements relating to our indebtedness outstanding at the time. The Company may use other methods of distribution that might allow other Investors to purchase or receive Tokens on better terms than you receive under the DPA or that might dilute the value of the Class CF Tokens. In addition to the Offering, the Company may also distribute NORI Tokens through the following mechanisms, each of which could result in both a decrease in the value of the NORI Tokens and in certain purchasers and other recipients purchasing them on more advantageous terms:  Additional Direct Sales. If that the Company determines that the NORI Tokens are reasonably treated as non-securities, the Company may sell additional NORI Tokens directly.  Sale of Additional DPAs. The Company may also issue additional DPAs on better terms than the DPA you are purchasing.  Sales and Giveaways to Employees. The Company anticipates providing NORI Tokens as a form of bonus or compensation to employees, either for free or for a reduced price.  Giveaways. To encourage use and development of the network, the Company may provide NORI Tokens as rewards to users of the network for certain activities; the Company may provide NORI Tokens as rewards in circumstances where it believes the NORI Tokens will not be treated as securities. Some of these sales and distributions may occur at a substantial discount to the amount paid by Investors in the DPAs and/or may result in other terms that are more advantageous to other Investors and recipients. In addition, as discussed in this Offering Memorandum, the Company may sponsor other types of offerings or distributions of NORI Tokens in the future, which may further dilute the value of the Class CF Tokens or be offered on more advantageous terms. Investors are not owners of the Company and have no decision-making rights or vote. We are a startup company and our business activities currently focus on developing our software product, our CRC exchange Platform, and business development to bring suppliers and buyers into our marketplace before we begin generating revenue. While we intend to generate revenue in the future, we cannot assure you when or if we will be able to do so. We will rely on external financing to fund our operations through Platform Launch and breakeven. Based on our current proposed plans and assumptions relating to our other anticipated token offerings, and operations (including the timetable of, and costs associated with, development of the Platform and the Network) we anticipate that the Maximum Amount raised in this Offering will be sufficient to satisfy our contemplated cash requirements through approximately Q1 2019, assuming that we do not face unexpected events, costs or contingencies, any of which could affect our cash requirements. We expect capital outlays and operating expenditures to increase over the next several years as we expand our infrastructure, commercial operations, development activities and establish offices. Our future funding requirements will depend on many factors, including but not limited to the following: • The cost of expanding our operations; • The financial terms and timing of any collaborations, licensing or other arrangements into which we may enter; • The rate of progress and cost of development activities; • The need to respond to technological changes and increased competition; • The costs of filing, prosecuting, defending and enforcing any patent claims and other intellectual property rights; • The cost and delays in product development that may result from changes in regulatory requirements applicable to our products; • Sales and marketing efforts to bring these new product candidates to market; • Unforeseen difficulties in establishing and maintaining an effective sales and distribution network; and • Lack of demand for and market acceptance of our products and technologies. We may have difficulty obtaining additional funding and we cannot assure you that additional capital will be available to us when needed, if at all, or if available, will be obtained on terms acceptable to us. If we raise additional funds by issuing additional debt securities, such debt instruments may provide for rights, preferences or privileges senior to the Securities. In addition, the terms of the debt securities issued could impose significant restrictions on our operations. If we raise additional funds through collaborations and licensing arrangements, we might be required to relinquish significant rights to our technologies or product candidates or grant licenses on terms that are not favorable to us. If adequate funds are not available, we may have to delay, scale back, or eliminate some of our operations or our research development and commercialization activities. Under these circumstances, if the Company is unable to acquire additional capital or is required to raise it on terms that are less satisfactory than desired, it may have a material adverse effect on its financial condition. We were incorporated under the laws of the State Washington on October 31, 2017. Accordingly, we have no history upon which an evaluation of our prospects and future performance can be made. Our proposed operations are subject to all business risks associated with new enterprises. The likelihood of our creation of a viable business must be considered in light of the problems, expenses, difficulties, complications, and delays frequently encountered in connection with the inception of a business, operation in a competitive industry, and the continued development of advertising, promotions, and a corresponding client base. We anticipate that our operating expenses will increase for the near future. There can be no assurances that we will ever operate profitably. You should consider the Company’s business, operations and prospects in light of the risks, expenses and challenges faced as an early-stage company. The Company intends to use the proceeds from the Offering in large part for unspecified working capital. This means that the Company has ultimate discretion to use the proceeds as it sees fit and has chosen not to set forth any specific uses for you to evaluate. The net proceeds from this Offering will be used for the purposes, which our management deems to be in our best interests in order to address changed circumstances or opportunities. As a result of the foregoing, our success of will be substantially dependent upon our discretion and judgment with respect to application and allocation of the net proceeds of this Offering. The Company may choose to use the proceeds in a manner that you do not agree with and you will have no recourse. A use of proceeds that does not further the Company’s business and goals could harm the Company and its operations and ultimately cause an Investor to lose all or a portion of its investment. In order to achieve the Company’s near and long-term goals, the Company will need to procure funds in addition to the amount raised in the Offering. There is no guarantee the Company will be able to raise such funds on acceptable terms or at all. If we are not able to raise sufficient capital in the future, we will not be able to execute our business plan, our continued operations will be in jeopardy and we may be forced to cease operations and sell or otherwise transfer all or substantially all of our remaining assets, which could cause an Investor to lose all or a portion of its investment. In particular, the Company is dependent on Paul Gambill and Aldyen Donnelly who are Chief Executive Officer and Director of Carbon Economics of the Company. The Company has or intends to enter into employment agreements with Paul Gambill and Aldyen Donnelly although there can be no assurance that it will do so or that they will continue to be employed by the Company for a particular period of time. The loss of Paul Gambill and Aldyen Donnelly or any member of the board of directors or executive officer could harm the Company’s business, financial condition, cash flow and results of operations. Management’s Ability to Execute Business Plan and Manage Change. While the Company’s management team and advisors have extensive technical experience, they have not had the opportunity to execute fully the Company’s business plan and must therefore be considered unproven. Furthermore, the Company expects to experience a period of rapid growth and expansion that will challenge management to successfully implement and adapt personnel policies, financial and accounting controls, and reporting systems, among other things. Management’s failure to master these and other challenges of growth could have a material and adverse effect on the Company. The Company is dependent on Paul Gambill and Aldyen Donnelly in order to conduct its operations and execute its business plan, however, the Company has not purchased any insurance policies with respect to those individuals in the event of their death or disability. Therefore, in any of Paul Gambill and Aldyen Donnelly die or become disabled, the Company will not receive any compensation to assist with such person’s absence. The loss of such person could negatively affect the Company and its operations. Need for Additional Skilled Personnel. As the Company continues to grow, it will have an ongoing need to hire additional high-quality individuals to staff operations. The Company’s ability to attract and retain necessary talent in the future is critical. This is especially true in the continued to search for individuals to fill high-level positions that will help guide the future development of the Company. Competition for qualified managerial, marketing, sales, and engineering staff is intense, and qualified candidates are in great demand by many companies, including those with substantially greater resources and reputation than the Company. The ability of the Company to meet these needs in the future is unknown. Should the Company be unable to recruit, hire, and retain needed talent, its ability to execute its business plan will be substantially and adversely impaired. The Company’s founders currently own 100% of the Company’s voting membership interests. Subject to any fiduciary duties owed to future owners or Investors under Washington law, those owners will be able to exercise significant influence over matters requiring owner approval, including the election of managers and approval of significant Company transactions, and will have significant control over the Company’s management and policies. Those persons may have interests that are different from yours. The concentration of ownership could delay or prevent a change in control of the Company or otherwise discourage a potential acquirer from attempting to obtain control of the Company. In addition, these owners could use their voting influence to maintain the Company’s existing management, delay or prevent changes in control of the Company, or support or reject other management and board proposals that are subject to owner approval. We initially will rely on one third-party supplier for the provision of our services. COMET-Farm is intended to be our primary baseline generator that establishes a dynamic baseline for measuring carbon stock changes in cropland soil, however there are other baseline generators we can use. If COMET-Farm changed its business model, or decided to terminate its business relationship with us, sales and earnings could be adversely affected until we are able to establish relationships with suppliers of comparable products. Any delay or interruption in that relationship (or failure to locate a suitable replacement for such supplier) could materially adversely affect our business, prospects, or results of operations. If we fail to maintain or expand our relationships with our single-source supplier we may not have adequate access to new or key technology necessary for our services, which may impair our ability to deliver leading-edge services. If we are not able to maintain or expand our relationships with our suppliers or to leverage their research and development capabilities to develop new technologies desired by our customers, our ability to deliver leading-edge products in a timely manner may be impaired and we could be required to incur additional research and development expenses. Also, disruption in our supply chain or the need to find alternative suppliers could impact the costs and/or timing associated with procuring necessary products, components and services. Similarly, suppliers have operating risks that could impact our business. These risks could create product time delays and other operational difficulties. The Company must address a number of critical product development issues if it is to be successful. If development targets outlined in our business plan are not met, the Company’s speed to market will be negatively impacted. This could significantly influence any competitive technological advantage the Company might otherwise enjoy. Additionally, the Company’s ability to address adequately the technological issues surrounding the development its products is crucial to the Company’s success. If the Company is unable to develop the technology as envisioned or cannot effectively put in place the hardware required to operate its systems, it will be unsuccessful in executing its current business plan. Dependence upon the CRC Marketplace. 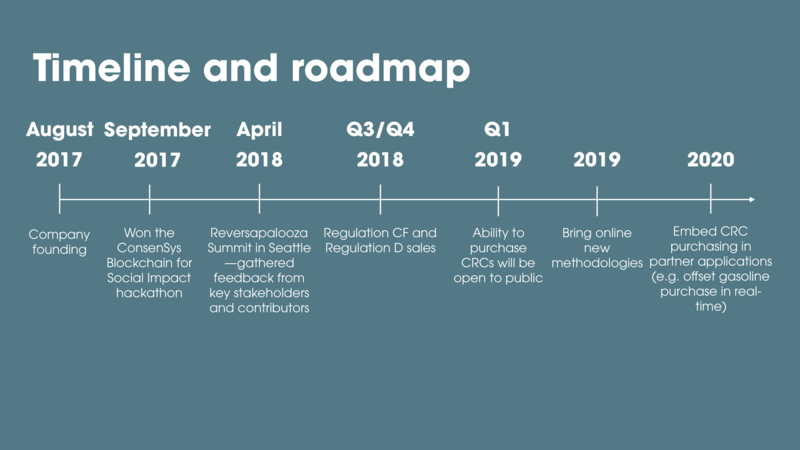 The success of the Company is largely dependent on the continued regulatory regime regarding CRCs, and in particular the acceptance and use of the Company’s Platform as an efficient alternative to other CRC exchange processes. To a certain extent, these factors are out of the Company’s control. If that prospective CRC suppliers and buyers do not accept and use the Platform, the Company may not be able to increase its revenues and may be forced to limit its business operations significantly. A decline in the overall market for CRCs would have a material adverse effect on the business, financial condition and results of operation of the Company. The Company has attempted to evaluate accurately the potential competition it will face upon the release of its Platform. The Company’s concept is unique, and management is not aware of any existing direct competition. There are however, substantial risks associated with underestimating potential competition. 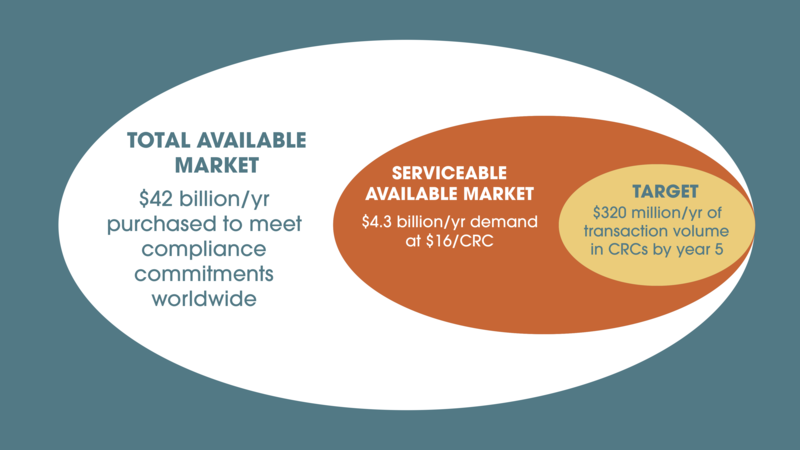 There may also exist, or may in the future be developed, any number of additional businesses in various states of operation that offer CRC exchange alternatives. Relative technological advantages might not be as great as perceived. Response time from competitors might be quicker than expected. Large corporations could allocate significant resources toward duplicating the Company’s technology thereby minimizing any competitive advantage the Company might initially enjoy. There can be no assurance that current or future competitors will not develop new or enhanced products which are more effective than any which have been or may be developed by the Company. Such competition may have a material adverse effect on the business, financial condition and results of operation of the Company. To be successful, the Company will need to continue to obtain market acceptance of its Platform. There can be no assurance that this can be achieved. Due its limited operating history, the Company currently lacks the brand name awareness that is vital to its ability to compete in the CRC market. In order to develop and enhance awareness of its brand name, the Company intends to invest significant funds in sales and marketing. The substantial expenses to be incurred in developing greater awareness of the Company’s brand name may result in substantial expenses for the Company in the near future. Technology companies, including many of the Company’s competitors, frequently enter into litigation based on allegations of patent infringement or other violations of intellectual property rights. In addition, patent holding companies seek to monetize patents they have purchased or otherwise obtained. As the Company grows, the intellectual property rights’ claims against it will likely increase. The Company intends to vigorously defend infringement actions in court and before the U.S. International Trade Commission. The plaintiffs in these actions frequently seek injunctions and substantial damages. Regardless of the scope or validity of such patents or other intellectual property rights, or the merits of any claims by potential or actual litigants, the Company may have to engage in protracted litigation. If the Company is found to infringe one or more patents or other intellectual property rights, regardless of whether it can develop non- infringing technology, it may be required to pay substantial damages or royalties to a third-party, or it may be subject to a temporary or permanent injunction prohibiting the Company from marketing or selling certain products. In certain cases, the Company may consider the desirability of entering into licensing agreements, although no assurance can be given that such licenses can be obtained on acceptable terms or that litigation will not occur. These licenses may also significantly increase the Company’s operating expenses. Regardless of the merit of particular claims, litigation may be expensive, time-consuming, disruptive to the Company’s operations and distracting to management. In recognition of these considerations, the Company may enter into arrangements to settle litigation. If one or more legal matters were resolved against the Company’s consolidated financial statements for that reporting period could be materially adversely affected. Further, such an outcome could result in significant compensatory, punitive or trebled monetary damages, disgorgement of revenue or profits, remedial corporate measures or injunctive relief against the Company that could adversely affect its financial condition and results of operations. Our ability to implement and provide our applications and services to our clients depends, in part, on services, goods, technology, and intellectual property rights owned or controlled by third parties. These third parties may become unable to or refuse to continue to provide these services, goods, technology, or intellectual property rights on commercially reasonable terms consistent with our business practices, or otherwise discontinue a service important for us to continue to operate our applications. If we fail to replace these services, goods, technologies, or intellectual property rights in a timely manner or on commercially reasonable terms, our operating results and financial condition could be harmed. In addition, we exercise limited control over our third- party vendors, which increases our vulnerability to problems with technology and services those vendors provide. If the services, technology, or intellectual property of third parties were to fail to perform as expected, it could subject us to potential liability, adversely affect our renewal rates, and have an adverse effect on our financial condition and results of operations. Like others in our industry, we continue to face advanced and persistent attacks on our information infrastructure where we manage and store various proprietary information and sensitive/confidential data relating to our operations. These attacks may include sophisticated malware (viruses, worms, and other malicious software programs) and phishing emails that attack our products or otherwise exploit any security vulnerabilities. These intrusions sometimes may be zero-day malware that are difficult to identify because they are not included in the signature set of commercially available antivirus scanning programs. Experienced computer programmers and hackers may be able to penetrate our network security and misappropriate or compromise our confidential information or that of our customers or other third-parties, create system disruptions, or cause shutdowns. Additionally, sophisticated software and applications that we produce or procure from third-parties may contain defects in design or manufacture, including “bugs” and other problems that could unexpectedly interfere with the operation of the information infrastructure. A disruption, infiltration or failure of our information infrastructure systems or any of our data centers as a result of software or hardware malfunctions, computer viruses, cyber-attacks, employee theft or misuse, power disruptions, natural disasters or accidents could cause breaches of data security, loss of critical data and performance delays, which in turn could adversely affect our business. If the DPAs are paid back in Class CF Tokens, it is unclear whether or not those Class CF Tokens will be freely tradable. At the moment, there is no definitive regulatory position on whether blockchain tokens are securities or utility devices. If the Class CF Tokens are deemed to be securities, there are substantial risks to the Company’s distributing the Class CF Tokens absent registration of the Company’s planned Public Token Offering under Regulation A+ or other registered offering under the Securities Act, or issuance under any future exemption from such registration requirements. If the DPAs are repaid in Class CF Tokens, to the extent that future regulatory actions or policies limit the ability to exchange Class CF Tokens or utilize them for payments, the demand for Class CF Tokens will decrease. New regulations may make it more difficult to acquire and/or use Class CF Tokens. Furthermore, regulatory actions may limit the ability of end-users to convert Class CF Tokens into fiat currency (e.g., U.S. Dollars) or use Class CF Tokens to pay for goods and services. Such regulatory actions or policies would negatively affect our business and decrease the value of the Securities. Therefore, if the Company pays back the DPA in Class CF Tokens, instead of cash, this may prove to be an illiquid and potentially worthless repayment method. In particular, Tokens may not be excluded from the definition of “commodity future” or “security” by such future CFTC and SEC rulemaking, respectively. As of the date of this Offering Memorandum, the Company is not aware of any new rules that have been proposed to regulate tokens as commodity futures or securities. The Company cannot be certain as to how future regulatory developments will impact the treatment of tokens under the law. Such additional regulations may result in additional expenses of the Company thereby materially and adversely impacting the Securities. The Company is aware that the SEC has determined that certain tokens can be considered Securities, meaning the sale, transfer and use of them may be substantially limited and present regulatory risks and burdens to both the Company as well as to any purchaser of Securities that is repaid in Class CF Tokens instead of cash. Regulatory risks associated with the issuer’s operation, with the potential treatment of digital assets as securities, and with unforeseen legal restrictions on debt repayments using digital assets is a novel legal construct. The Offering is an offering of debt securities by a non-investment service company under Regulation Crowdfunding. However, there is a regulatory risk associated with (i) the offering registration and exemption eligibility; (ii) redistribution of any assets that constitute securities; (iii) any activities that are deemed investment activities, investment advisory activities, and/or brokering or dealing activities by the issuer. Operating and legal expenses incurred by the Company to address, challenge and resolve any unfavorable regulatory position may be substantial and may result in the Company’s insolvency. Digital tokens and currencies may meet the definition of securities under US securities law depending on specific facts pertaining to the relevant blockchain project and token uses. There is a risk that the Class CF Tokens useable to repay the debt obligations under the terms of the Offering constitutes securities, in which case the Company and its affiliates and partners may be restricted or even prohibited from delivering or facilitating the relevant token repayments. Investors should carefully consult regulatory guidelines on cryptocurrencies and crypto investing prior to participating in this offering. As cryptocurrencies have grown in both popularity and market size, the U.S. Congress and a number of U.S. federal and state agencies (including FinCEN, SEC, CFTC, FINRA, CFPB, the Department of Justice, the Department of Homeland Security, the Federal Bureau of Investigation, the IRS, and state financial institution regulators) have begun to examine the operations of the cryptocurrency networks, users and exchanges. On-going and future regulatory actions may alter, perhaps to a materially adverse extent, the nature of an investment in the Securities repayable by Tokens. Many of these agencies, including the SEC, CFPB, FINRA, the Federal Trade Commission (“FTC”) and state financial regulatory agencies, including those of Washington, Wisconsin, North Carolina, Nevada, Massachusetts, Michigan, New Hampshire, Alabama, Maryland, Maine, New Mexico, California, Florida and Hawaii, have issued consumer advisories regarding the risks posed by digital currencies. In March 2013 guidance, FinCEN took the position that any administrator or exchanger of convertible virtual currencies must register with FinCEN as a money transmitter and must comply with the anti-money laundering regulations applicable to money transmitters. FinCEN subsequently issued several interpretive letters clarifying which entities would be considered administrators or exchangers and which would be considered mere “users” not subject to registration. The requirement that exchangers that do business in the U.S. register with FinCEN and comply with anti-money laundering regulations may increase the cost of buying and selling virtual currencies and therefore may adversely affect their price. On June 3, 2015, New York State Department of Financial Services (“NYDFS”) issued its comprehensive regulatory scheme for digital currency businesses, called the “BitLicense.” The BitLicense scheme requires most businesses involved in digital currency transactions in or involving New York, excluding merchants and consumers, to apply for a license from the NYDFS and to comply with anti-money laundering, cyber security, consumer protection, and financial and reporting requirements, among others. Other states have considered similar regimes (for example, a bill in California would have imposed a similar regime, although the bill was shelved), or have required virtual currency businesses to register with their states as money transmitters, which results in virtual currency businesses being subject to requirements similar to those of NYDFS’s BitLicense regime. Certain state regulators, such as the Texas Department of Banking and Kansas Office of the State Bank Commissioner, have found that bitcoins do not constitute money, and that mere transmission of bitcoin does not constitute money transmission requiring licensure. The North Carolina Commissioner of Banks has issued guidance providing that North Carolina’s money transmission regulations only apply to the transmission of virtual currency and not its use. On June 28, 2014, the Governor of the State of California signed into law a bill that removed state-level prohibitions on the use of alternative forms of currency or value. The bill indirectly authorizes the use of bitcoins as an alternative form of money in the state. The inconsistency in applying money transmitting licensure requirements to certain virtual currency businesses may make it more difficult for virtual currency businesses to provide services, which may affect consumer adoption of virtual currencies and their prices. To date, the SEC has not asserted regulatory authority over cryptocurrency networks or cryptocurrency trading or ownership and has not expressed the view that all cryptocurrencies should be classified or treated as securities for purposes of U.S. federal securities laws. The effect of any future regulatory change on cryptocurrencies is impossible to predict, but such change could be substantial and adverse to the Company, the parent company and the parent company’s Tokens used to repay the Securities. If the DPAs are repaid in Class CF Tokens, it may be illegal now, or in the future, to acquire, own, hold, sell or use the Class CF Tokens in one or more countries. Although currently cryptocurrency tokens are not regulated or are lightly regulated in most countries, including the United States, one or more countries may take regulatory actions in the future that severely restricts the right to acquire, own, hold, sell or use them, or to exchange them for fiat currency. Such an action may also result in the restriction of ownership, holding or trading in the Class CF Tokens. Such a restriction could result in the termination and liquidation of the Company at a time that is disadvantageous to Investors or may adversely affect an investment in the Company. We may not successfully develop, market and maintain the Network. The Company will use the proceeds of this Offering to make significant investments to develop and launch a viable Network upon which users can realize the utility and value of the Class CF Tokens. If the Company is not successful in its efforts to demonstrate to users the utility and value of the Network, there may not be sufficient demand for the Company to proceed with the Platform Launch. If the Company’s Network is successfully developed and maintained, it still may not meet Investor expectations. Furthermore, despite good faith efforts to develop, market and launch the Network and subsequently to develop, market and maintain the Network, it is still possible that the Network will experience malfunctions or otherwise fail to be adequately developed or maintained, which may negatively impact the Network and the holders of Class CF Tokens. The Network may not be widely adopted and may have limited users. It is possible that the Network will not be used by a large number of individuals, companies and other entities or that there will be limited public interest in the creation and development of distributed ecosystems (such as the Network) more generally. Such a lack of use or interest could negatively impact the development of the Network and therefore the potential utility of Class CF Tokens. Alternative networks may be established that compete with or are more widely used than the Network. It is possible that alternative networks could be established that utilize the same or similar open source code and protocol underlying the Network and attempt to facilitate services that are materially similar to the Network’s services. The Network may compete with these alternative networks, which could negatively impact the Network and the Class CF Tokens. The Network may be the target of malicious cyberattacks or may contain exploitable flaws in its underlying code, which may result in security breaches and the loss or theft of Tokens. If the Network’s security is compromised or if the Network is subjected to attacks that frustrate or thwart our users’ ability to access the Network, their Class CF Tokens, or the Network products and services, users may cut back on or stop using the Network altogether, which could seriously curtail the utilization of the Class CF Tokens and cause a decline in the market price of the Class CF Tokens. The Network structural foundation, the open-source protocols, the software applications, platform and other interfaces or applications built upon the Network are still in an early development stage and are unproven, and the Network and the creating, transfer or storage of the Class CF Tokens may be interrupted and may not be fully secure, which may result in a complete loss of users’ Class CF Tokens or an unwillingness of users to access, adopt and utilize the Network. Further, the Network may also be the target of malicious attacks seeking to identify and exploit weaknesses in the software or the Network which may result in the loss or theft of Class CF Tokens. For example, if the Class CF Tokens and the Network are subject to unknown and known security attacks, this may materially and adversely affect the Network. The slowing or stopping of the development or acceptance of blockchain networks and blockchain assets would have an adverse material effect on the successful development and adoption of the Network. The growth of the blockchain industry in general, as well as the blockchain networks with which the Network will rely and interact, is subject to a high degree of uncertainty. The factors affecting the further development of the blockchain industry, as well as blockchain networks, include, without limitation: • Worldwide growth in the adoption and use of Bitcoin, ether and other blockchain technologies; • Government and quasi-government regulation of Bitcoin, ether and other blockchain assets and their use, or restrictions on or regulation of access to and operation of blockchain networks or similar systems; • The maintenance and development of the open-source software protocol of the Bitcoin and Ethereum networks; • Changes in general economic conditions, consumer demographics and public tastes and preferences; • The availability and popularity of other forms or methods of buying and selling goods and services, or trading assets including new means of using fiat currencies or existing networks; or • A decline in the popularity or acceptance of Bitcoin, ether or other blockchain-based tokens. The prices of blockchain assets are extremely volatile. Fluctuations in the price of digital assets could materially and adversely affect our business, and the Class CF Tokens may also be subject to significant price volatility. As relatively new products and technologies, cryptocurrencies and other digital assets have not been widely adopted as a means of payment for goods and services by major retail and commercial outlets. Conversely, a significant portion of demand for digital assets is generated by speculators and Investors seeking to profit from the short- or long-term holding of such assets. The prices of blockchain assets such as Bitcoin and ether have historically been subject to dramatic fluctuations and are highly volatile, and the market price of the Class CF Tokens may also be highly volatile. Speculators and Investors might not distinguish cryptocurrencies from other types of blockchain assets, and volatility in cryptocurrency markets might affect how speculators and Investors perceive the Class CF Tokens. Several factors may influence the market price of the Class CF Tokens, including, but not limited to: • Global blockchain asset supply; • Global blockchain asset demand, which can be influenced by the growth of retail merchants’ and commercial businesses’ acceptance of blockchain assets like cryptocurrencies as payment for goods and services, the security of online blockchain asset exchanges and digital wallets that hold blockchain assets, the perception that the use and holding of blockchain assets is safe and secure, and the regulatory restrictions on their use; • Investors’ expectations with respect to the rate of inflation; • Changes in the software, software requirements or hardware requirements underlying the Network; • Changes in the rights, obligations, incentives, or rewards for the various participants in the Network; • Currency exchange rates, including the rates at which digital assets may be exchanged for fiat currencies; • Fiat currency withdrawal and deposit policies of blockchain asset exchanges on which the Class CF Tokens may be traded and liquidity on such exchanges; • Interruptions in service from or failures of major blockchain asset exchanges on which the Class CF Tokens may be traded; • Investment and trading activities of large Investors, including private and registered funds, that may directly or indirectly invest in the Network or Tokens or other blockchain assets; • Monetary policies of governments, trade restrictions, currency devaluations and revaluations; • Regulatory measures, if any, that affect the use of blockchain assets such as the Class CF Tokens; • The maintenance and development of the open-source software protocols of the Network; • Global or regional political, economic or financial events and situations; or • Expectations among Network or other blockchain assets participants that the value of the Class CF Tokens or other blockchain assets will soon change. A decrease in the price of a single blockchain asset may cause volatility in the entire blockchain asset industry and may affect other blockchain assets including the Class CF Tokens. For example, a security breach that affects Investor or user confidence in Bitcoin may also cause the price of the Class CF Tokens and other blockchain assets to fluctuate. The United States tax rules applicable to an investment in the DPAs and in the event the DPAs are repaid in Class CF Tokens are uncertain and the tax consequences to an Investor of an investment in the Securities could differ from the Investor’s expectations. The tax rules applicable to the Securities, specifically if the DPAs are repaid using Class CF Tokens instead of cash, are complex, and no statutory, judicial, or administrative authority directly addresses the characterization of an investment in DPAs or cryptocurrencies. The tax consequences to an Investor of the Securities could differ from the Investor’s expectations. Investors should consult their own tax advisors. The federal income tax treatment applicable to nonresident alien or foreign Investors in the Securities is highly complex and will vary depending on the particular circumstances of each Investor and the effect of any applicable income tax treaties between the U.S. and the Investor’s country of residence. Each foreign Investor should consult its own independent tax advisor as to the advisability of investing in the Securities. The applicability of U.S. federal income tax to a particular Investor will generally depend on whether the Investor is deemed to be engaged in a United States trade or business. This determination must be made annually. The U.S. Internal Revenue Code does not define what constitutes a United States trade or business; rather, this determination is based upon an examination of the facts and circumstances. Neither the Company nor counsel to the Company will render any tax opinion or advice with respect to the offering of the Securities. Accordingly, each Investor should discuss the tax considerations of an investment in the Securities with the Investor’s own tax advisor. This is technology that can change the world and I want to help make it possible. A few of the smartest people I know founded this company and I'd bet on their success in a heartbeat. I'm a big fan of free-market alternatives to carbon removal and climate change reversal. Also, Paul, Cristoph and Ross are dope. Because Nori is building a novel solution to the SINGLE MOST IMPORTANT problem of our time. I can lose every cent of this investment and still be happy with the knowledge that it went toward finding a new, better way to reduce carbon in the atmosphere. I appreciate the effort to make an impact on climate change. I STRONGLY believe we are reaching a point of no return and something must done to change course!! It’s unbelievable to me how little is being done to try to save our planet and reduce CO2! The podcast alone is worth it! I wish the Nori team the best of luck in executing their mission. The removal of CO2 from the atmosphere and oceans must begin soon and I want to be a part of that effort. Reducing CO2 emissions by electrifying everything with solar PV panels on my rooftop is needed, but insufficient to restore a healthy climate..
We need a reliable method for compensating people for sequestering CO2, one that ensures that a certificate equals a set amount of carbon sequestered. Right approach, right time, right team. No guarantees, I know. I do not think governments or corporations alone will improve the dire state of climate change globally. I invested in Nori because it allows the general public to directly incentivise corporations to reduce or remove their carbon footprints. I invested because it seems like a strong sustainability solution for agriculture. I think Nori is an interesting idea in an important space. Working through a globally trusted blockchain and a marketplace rather than government regulation. While great ideas are great, I also trust Ramez Naam's judgement on startups. I believe in carbon removal to hit the paris climate treaty goals to live in a beautiful nature that isn't destroyed from pollution. I also want this to be my monthly offsetting purchase resource. Sincerely hope it works! I want to support innovation that will lead to reversing climate change. I invested because it’s urgent that we remove carbon to reverse climate change, Nori has a great strategy and plan, and because I know and trust Christophe Jospe. Meaningful project addressing a tough challenge, and a great team that has shown impressive progress thus far...I'm happy for the opportunity to signal my support in this (small) way. Seeking effective and altruistic long term solutions for mitigating human suffering, and to generate our own green bank. We need to do more than complain about co2. Great cause, promising tech meeting a clear need. I believe that we need a system for including carbon and other emissions in the cost/benefit consideration envelope for individuals and businesses. Carbon taxes don’t go far enough. I believe it is a neccessary and well thought out project. I care about this cause. I invested because we need to bring our climate back into a stable rhythm and most municipal, state, and national climate action plans don't come anywhere close to doing that. Nori might actually stand a chance of incentivizing regenerative actions! I believe in Nori and how it will solve one of the biggest problem that we deal with on a daily basis. I have an interest in becoming a Supplier of Nori Tokens. The planet needs this! And I think it’s contributing to more advanced capital allocation and efficient markets. And cause of Chris. Yeeehoo! I want a greener world for my children. I want to support smart people trying to make smart changes. Without carbon negative technologies we are doomed. I invested because Nori presents an innovative alternative to our environmental problems that seems genuinely unique and possibly more effective than other curent processes. I have strong belief about changing current trend of climate. I believe Nori has the power to reinvent how we value carbon and how that value flows through our current economic system. Because I believe in what Nori is trying to do and I want to support it. I also think it's smart and could be solid investment. I believe the world can't meet it's temperature goals without carbon removal. And carbon removal needs a market signal. My wife's nickname is Nori. I know that's a stupid reason but that is initially what attracted me to it. Ultimately, my decision was based on our world's environmental problems. Best of luck with your project. Great cause, opportunity to invest affordably and all digitally. I found this website on youtube while looking for a way for US citizens participation in ICOs. I learned about Nori Project during a WHYY radio interview. Never forgot about it. Happy to see this project listed on Republic. I believe in Paul and what he's doing. I invested because I believe in Nori's vision, mission, and business model. I would like to see it succeed. However, I'm not in a position to be a high net worth investor. So I love this opportunity to make a small investment! I believe in reversing climate change and helping the environment. I've been looking for a more effective system to offset (ideally, through capture or sequestration) my own carbon use for years. I'm so grateful Nori has come along to make that really happen. I couldn't believe more in this mission. Big believer in the movement of climate change and the blockchain technology you will be using to create a proper marketplace to highly incentivize real change. Podcasts show the team is highly knowledgable and motivated. My friend suggested Ramez Naam and Ramez suggested Nori, $1000. I'm committed to climate reversal and promoting carbon removal solutions. I invested because we need to take action to save the planet. I invested because I believe in what this company stands for and admire their mission and guts to move forward with their vision. Because I believe in this cause and I also find it essential to start doing something against climate change. The time is now. I am very concerned about the destruction we are seeing to the environment. I invested because I think you have a well thought out, unique approach to combatting climate change. I've been listening to the Reversing Climate Change podcast and learned a lot about the ethics, biology economics, and technology behind carbon sequestration and greatly appreciate the Nori's initiative and drive. I believe in climate action. i believe in emerging technology that benefits the planet! I invested in NORI because I 1. Believe in NORI's mission 2. Believe NORI's tokens will be profitable 3. Believe in and know some of the NORI team.